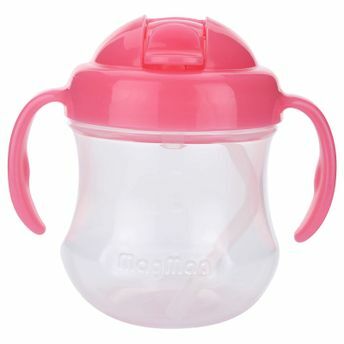 Perfect softness of straw fits baby's sensitive mouth, helping baby make the transition of drinking liquids on his own. By following the three-step system, baby learns to drink liquids in the same way as adults do. Babies are ready to move on to the next developmental stage and drink as adults do. While using their tongues to extract milk from the breast is an inborn skill, drinking liquids with a straw requires closing of the lips, and creating negative pressure inside the mouth, a learned skill. Explore the entire range of Feeding and Nursing available on Nykaa. Shop more Pigeon products here.You can browse through the complete world of Pigeon Feeding and Nursing .